With over 10 years’ experience, instant pricing, driver tracking and great lead times, AnyVan is the ideal solution for your delivery needs. A secure, low-cost, efficient end-to-end storage solution, offering collection, packing, storage, insurance and re-delivery as required. We are up to 50% cheaper than traditional self-storage companies. 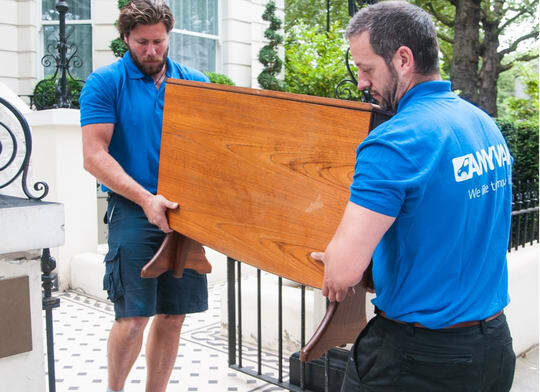 Great service - my furniture was delivered with skilful care. Excellent service. Arrived on time, moved everything out of one flat and into the other in no time! Very helpful, quick and reliable, communication all the way. Would use again. Excellent service. Great professional services. Came on time. Will use again. Already booking a delivery. I would recommend very helpful no issues went to plan . Choose AnyVan for reliable and affordable European delivery services. AnyVan’s European delivery service network enables our customers to take advantage of existing journeys and add their requirements to a professional courier already headed towards the destination. We have teams across the continent, serving Germany, France, Spain and many other parts of Europe, all of whom have years of experience and training in moving items of all shapes and sizes. 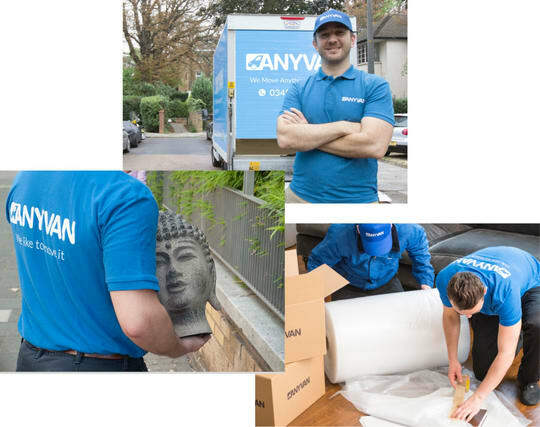 AnyVan are ready to take on your delivery job, and quote you an affordable price for it. Arranging deliveries to destinations outside of the UK is not always straightforward, and finding cheap transport for your items can be time consuming. Our European courier services work to ensure that your possessions are only ever handled by dedicated specialists, so that our customers can be confident that their deliveries are treated with care. Let AnyVan make your European delivery requirement simple. Avoid having to get to grips with the roadways of a different country, let alone hiring and insuring a van you have rented yourself. Every team in our fleet of European couriers has years of industry experience, and know the best way to get your job done. As soon as you get in touch, you’ll get an instant price, be assigned a European move specialist as your dedicated support and get free basic compensation cover. Simply put, we’ll put you in safe hands. Our European transport system has been devised to do more than save time and money. By reducing the amount of resources used by both customers and courier companies to transport large and heavy items, we are also playing an important role in reducing environmental impact of the shipment. These factors are especially important for long trips to destinations outside the UK. 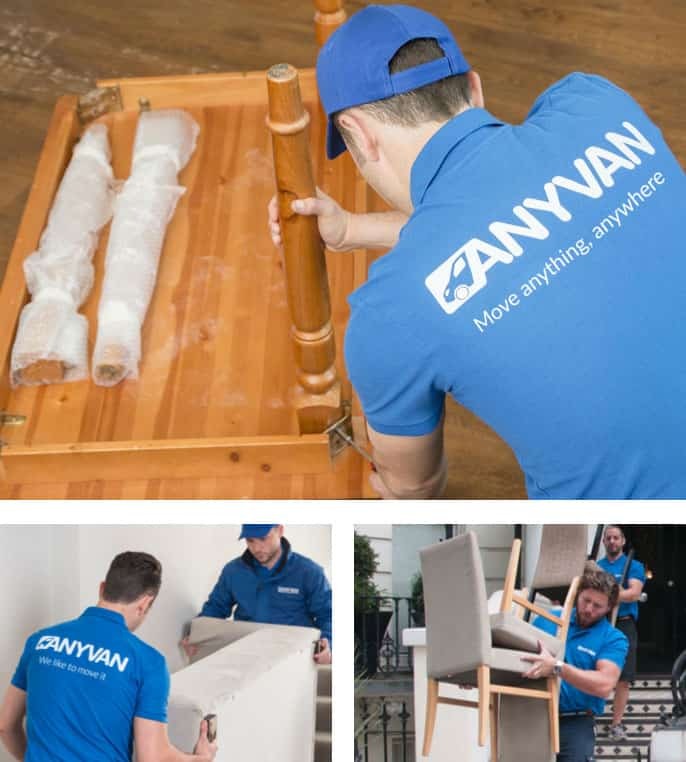 AnyVan’s delivery professionals are always looking for the safest way to move your possessions, ensuring that no harm comes to your deliveries. Not only do we offer the best European courier prices, but we also help you save 75% on costs, compared to our competitors. So don’t wait—our team of experienced, affordable couriers are planning journeys every day and are more than happy to help you with your move. Where should we send your price options? Where should we send your prices?